I wasn’t going to read this book. I read the Hunger Games trilogy, and figured I put in my time with futuristic society literature. However, my mom read it and enjoyed it, a student practically put in in my bag for me, and my niece read the books. So… I thought if I am forcing my students to read books I choose, I’d better pick up a book someone else recommends for me. So Derek, I only read this for you. P.S. Thank you, Derek! I read the entire book in 3 days, and it’s a pretty long book (but easy reading). Like Hunger Games, the central character is a strong, independent, but seemingly weak teenage girl growing up in the future, where society is quite different than what we know today. Society is divided into 5 factions, and at age 16, members take an aptitude test that tells them which faction they would best fit in with, although they are allowed to choose which one they want to be in. 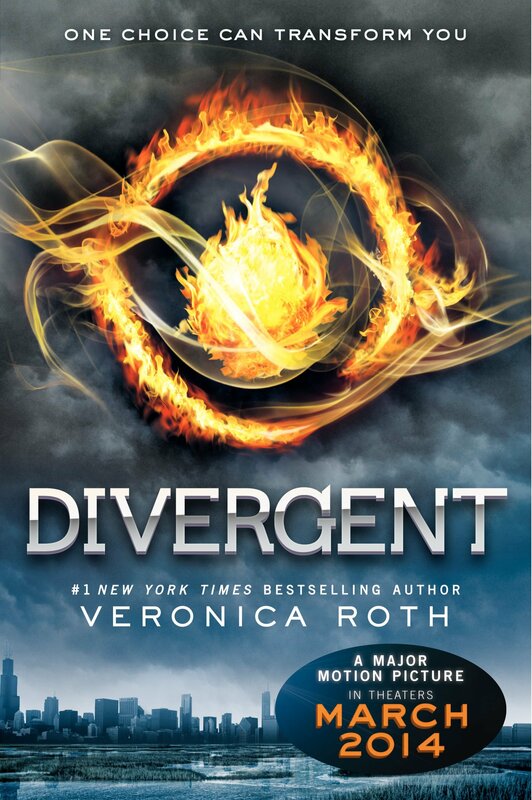 Beatrice (Tris) has an unusual (and dangerous) result to her aptitude test. She finds that she is divergent, meaning there is not one faction she best fits into. This is considered threatening to the governments of each faction, so she cannot share this information with anyone, including her family. Tris makes her choice and goes through initiation to prove herself and learn to be a member of that faction, despite others who make her life very difficult. She discovers a plot that would destroy the factions and has to do something about it. The first of 4 novels, we are left hanging. I can assume that if this series is anything like the Hunger Games series, there will be highs and lows, joy and sadness, and I’ll end up wanting to throw a book or two at some point. What I didn’t like about this book is the manner in which several characters died. I am waiting to find out in the next novels that one of the deaths was not actually a suicide, but a murder. I do not like to think of that kind of betrayal and death by a character I enjoyed. I also don’t like the way Veronica Roth is making me go buy the next book instead of waiting for my niece to bring me the next one. I have a few days left of my vacation, and I do not intend to spend them in front of the tv. While I would love to recommend this book to everyone, I have to say that there are several parts that are for more mature readers. It makes me uncomfortable to think that my sixth grade student or fourth grade niece read some of the situations that were potentially inappropriate, violent, sexual, etc. So readers, beware when recommending this book (although excellent) to younger readers. This is the story of Min’s breakup. She writes a letter to Ed Slatterton, the popular co captain of their high school basketball team, and in the letter, the story of their relationship is told, from beginning to end. Min is a “different” (but not really) teenager who hangs with the arty crowd, but isn’t particularly arty herself, aside from her obsession with old movies and all things vintage. Ed is the stereotypical jock who parties on the weekends with fellow jocks and has a long list of beautiful ex girlfriends. Ed and Min are so different, it shocks their friends when they end up together. However, we know their affair does not last, thus the premise and title of the novel. What I liked about this book was the voice and wit of my favorite author. If you’ve read this blog (or know me), you’ll know that Lemony Snicket is my very favorite author of children’s books. Daniel Handler is his name when writing adult or young adult novels. I have to admit that I enjoy his children’s literature more, but that doesn’t mean I didn’t enjoy this one. I feel like he carefully chooses each word and finds a way to make you smirk even in a tragic novel. What I didn’t like about this book was that I couldn’t relate to Min. Maybe I am too old, or too far removed from break ups where you feel like your life is over, you’ll never be happy again, and you must keep every memento. I personally wanted to smack Min a few times. In the end, I did feel sorry for her, but I set this book down about two years ago, because I just couldn’t connect. While I love love love this author, this was not one of my favorites. Was there a book you remember begrudgingly having to read in school, and then you look back on it with fond memories? Well, I hope someday I can look back on this book with fond memories. I started reading this story with my class while studying Egypt in class. We have a class set for our grade level that looks well-used, so I figured it has been loved throughout the years. For me, it was hard to get through it. Maybe I have been spoiled by awesome modern literature, but this just wasn’t for me. 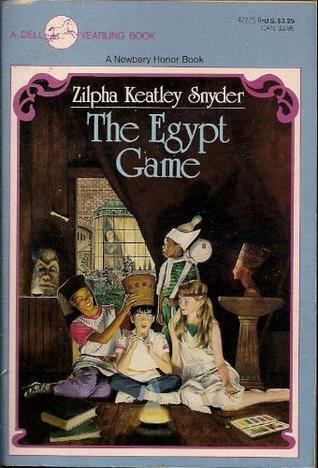 The Egypt Game follows the story of 3 girls obsessed with Egypt. They all have very unique personalities, and they integrate research, passion, and imagination into a role-playing game about Egypt, creating their own characters and ceremonies based on Egyptology. It is very Sandlot-like, only without the humor, drooling dog, and baseball theme. There are side stories involving the families of the 3 girls, as well as newcomers to the game, and there is something that interrupts their role-playing, and then that problem is solved by a scary, mysterious man who turns out to be a nice guy. You might have seen him in The Sandlot or Home Alone. What I liked about this book was that it referred back to Ancient Egypt, and my students were able to learn new words or feel confident when word appeared and they already knew what they were. It was easy to remember what an oracle was when there was a whole chapter about an oracle. I liked that my students made the connection between our text book and the novel we read. What I didn’t like about this book was how I fell asleep as soon as I picked it up. It was hard to make my students read when I didn’t want to read it myself. 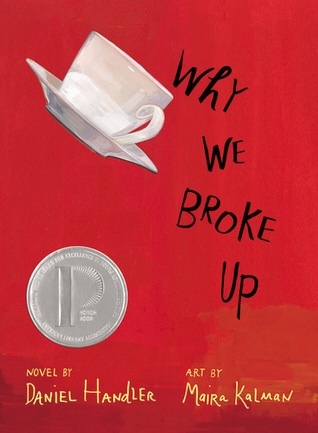 It won the Newbery Medal, so I realize it has merit, but I found it to be predictable. The characters were underdeveloped, and I felt like it was a movie I had seen. However, being old literature (1967), I could just be spoiled by modern literature.